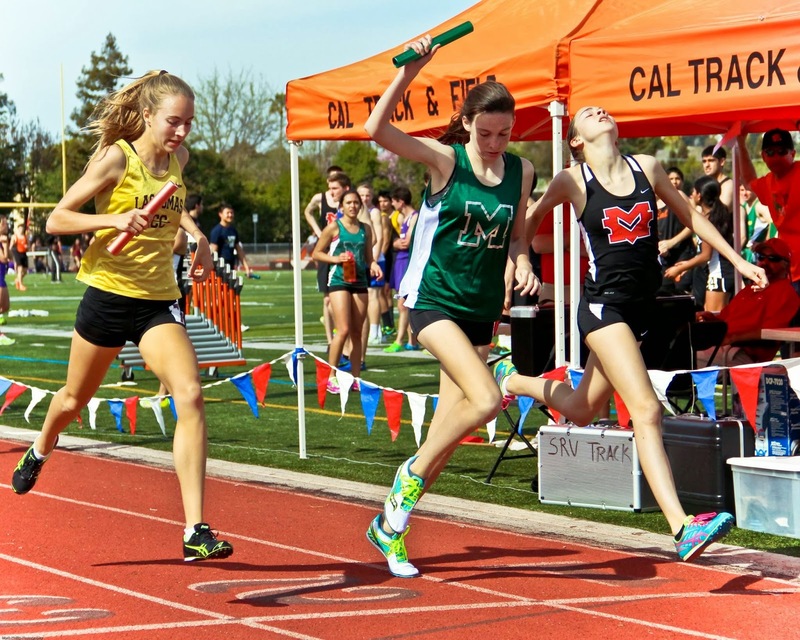 Cross Country Express: East Bay Invitational Fantastic Finish in girls 4 x 800m. Link to a video of the race (with an Amador Valley bias). Our anchor split 2:25, so there were some quick legs in there to catch her. Question: is it a body part or the baton crossing that counts? Body part (chest) just like a non relay event.